KUALA LUMPUR: Bumiputera contractors have been urged to get out of their comfort zone and transform themselves by obtaining contracts from the private sector, and by breaking into the international market like other bumiputera companies. 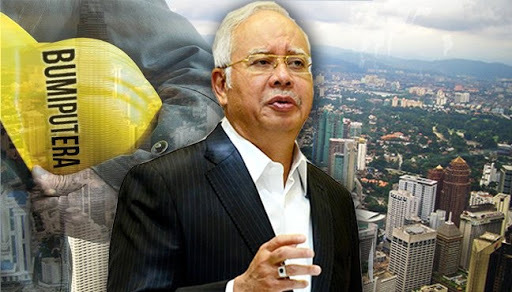 The Prime Minister, Najib Razak, speaking at the Malaysian Malay Contractors' Association dinner last night, said the government, on its part, had a "Carve Out and Compete" programme in which 435 per cent of mega projects had been allocated to bumiputera contractors. However for bumiputera contractors to expand their business, it was critical for them to obtain contracts from the private sector. Najib said the government expected the construction sector to expand by 10.3 percent a year during the 11th Malaysia Plan period, and was expected to contribute RM327 billion or 5.5 per cent to the Gross Domestic Product by 2020. He said more than 29,000 construction projects worth RM470 billion were approved from 2011 to 2014, of which only RM83 billion or 18 percent was from the government while the remaining RM387 billion or 82 per cent were projects by the private sector. "To get business from the private sectors requires a higher level of competitiveness as well as more technology and expertise. "I believe bumiputera contractors can compete in the open market. In fact, if bumiputera companies consolidate to set up even larger construction companies, I am convinced bumiputera companies can attain greater success," he said. The success of bumiputera contractors overseas such as in Abu Dhabi and Qatar also proved that there was no reason why bumiputera contractors cannot break into the international market if they structured their companies' strategies well, strengthened networking and seized business opportunities whether locally or overseas. "We can also succeed like other bumiputera companies which get part of their revenue from overseas," he said. He said the transformation effort must be based on four strategies, the first of which was to increase their knowledge through quality of human resource and strengthen the development of abilities of small and medium-scale enterprises as well as bumiputera contractors. The second strategy, he said, was that bumiputera contractors must increase productivity through increased usage of technology and modern construction methods, and not depend so much on foreign labour. "(Third) we must see how we can apply modern technology, encourage sustainable practices and (fourth) increase global practices so that this sector can provide returns for our exports," he said, according to Bernama.